The Mount Sinai Medical Center campus stretches from 98th Street to 102nd Street between Madison and Fifth Avenues on Manhattan’s Upper East Side. 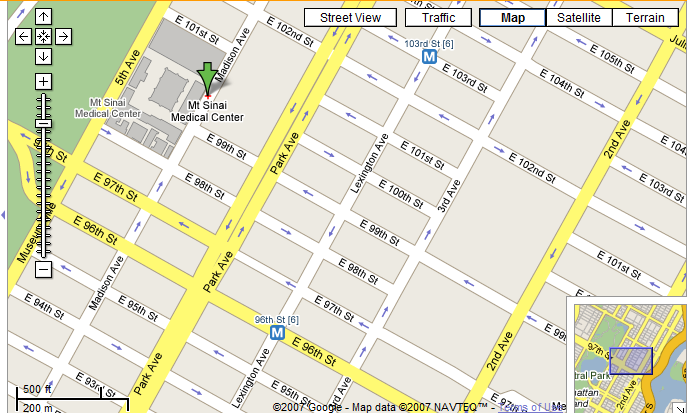 The entrance you want is Madison Avenue at 100th Street. When you arrive at Madison Ave and 100th St, enter through the glass doors. 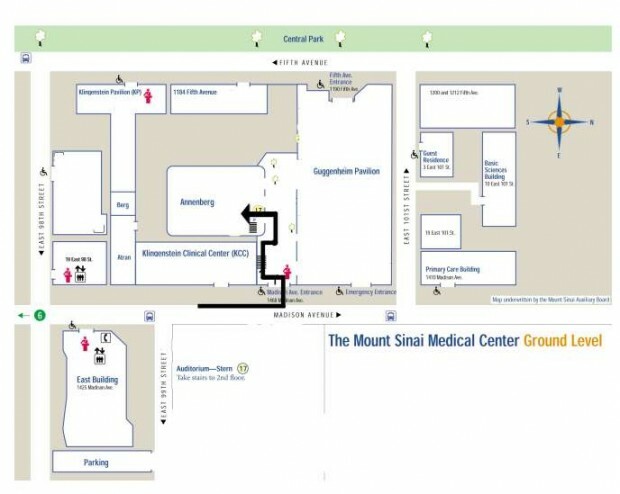 The School of Medicine (Annenberg Building) is to the left, and the Hospital (Guggenheim Pavilion) is to the right. Go up the stairs and to the left. You should see a registration desk on the 1st floor. The Stern Auditorium is on the 2nd floor of Annenberg.